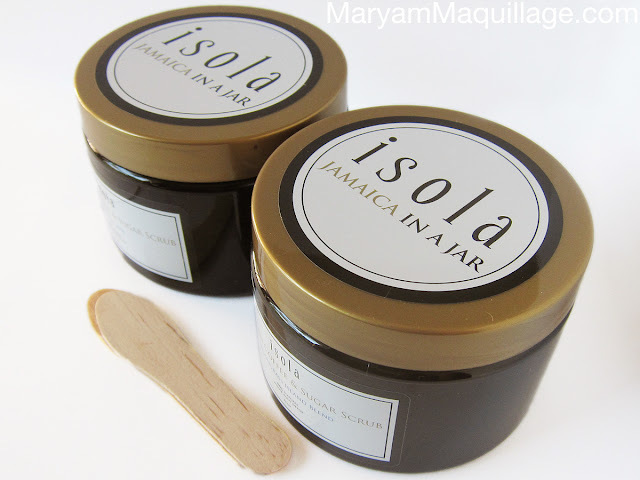 ABOUT ISOLA: Inspired and created in Montego Bay, Jamaica, Isola Body Scrubs have now made their way into the USA. With a passion for nature and the calming beaches of Montego Bay, Isola developed an outstanding body scrub that will not only leave your skin feeling like new, but will also take you on a quick escape to Jamaica with its legendary aroma-therapeutic remedies and benefits. Isola Body Scrubs are made with 100% Natural ingredients & are free of: Parabens, Sulfates, Synthetic Dyes, Petrochemicals and GMO’s. 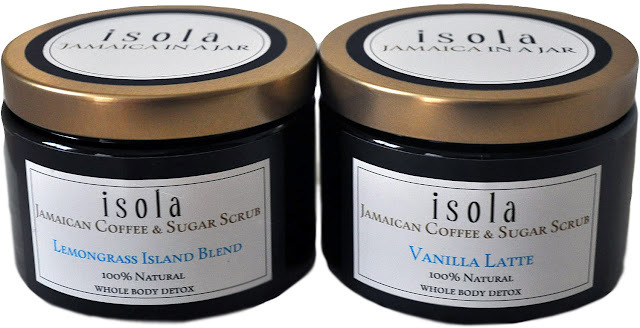 Isola Body Scrubs are made using Jamaica's famous Blue Mountain Coffee and are offered in two delicious flavors: Vanilla Latte (perfect for coffee lovers) and Lemongrass Island Blend (perfect for exotic island lovers). Caffeine is an antioxidant, which neutralizes the effects of free radicals that can damage the inner layer of skin. Aromatherapy – The scent of coffee can improve mental clarity & focus and also works as an anti-depressant. Ingredients: Blue Mountain Coffee Blend, Sucrose (Sugar), Vitis Vinifera (Grape) Seed Oil, Cocos Nucifera (Coconut) Oil, Prunus Amygdalus Dulcis (Sweet Almond) Oil, Essential Oils, Ascorbic Acid, Vegetable Glycerin, Vitamin E, Sodium Benzoate (used as preservative). The moment I opened the jars, I fell in love with the soothing delicious scents of the body scrubs. Both flavors are intoxicating and addictive, igniting every sensation in your body and making these scrubs truly a pleasure to use. Applying the Vanilla Latte flavor body scrub is almost like having a dessert, it is so good, it's almost good enough to eat (trust me, I even tasted it!!). The scent is sweet, but it isn't overpowering and I love to use it at night, before going to bed. The relaxing aromas of vanilla bean and Jamaican coffee put me at ease, ready to relax and rest. The Lemongrass Island Blend flavor is just as addictive, but is fresher and sharper, so I prefer to use it in the morning. The unique blend of coffee, lemongrass an other indigenous fruits gives off an exotic aroma that awakens the mind and body, leaving it alert and eager to take on the day. Isola Body Scrubs contain several oils: grape seed oil, coconut oil, almond oil and essential oils; plus vegetable glycerin and Vitamin E to moisturize, heal and protect the skin. 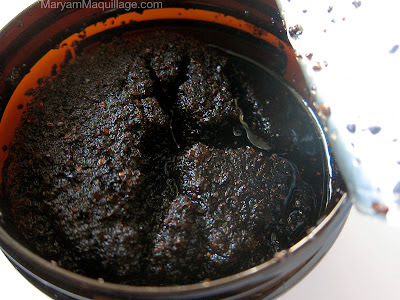 In combination with pure cane sugar and coffee grinds, these ingredients create a magical scrub that regenerates the cells and improves the texture to give you healthy, hydrated skin for days to come. The best part about using these scrubs is that I can actually skip my moisturizer. The oils penetrate deep within the skin surface and keep the skin balanced without feeling greasy or sticky. It really is quite remarkable! In the past two weeks or so, I've been saying good morning and good night with Isola Coffee & Sugar Scrubs. The aroma-therapeutic scents of the scrubs are unlike anything else I've ever experienced, while the long-lasting moisturizing effect is beyond impressive. I really enjoy my newly renewed skin and look forward to every shower!! I've already recommended Isola scrubs to many of my friends and hope each of you gets to experience this remarkable product for yourself! Isola scrubs come in two sizes and make terrific gifts -- just look at this adorable rustic pouch! 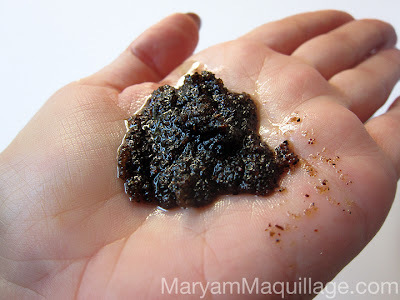 I use a quarter sized dollop of Isola Body Scrub all over my body, while in the shower, concentrating on the fatty, cellulite-prone areas like my hips, buttocks and thighs; as well as dry skin areas like my elbows and knees. 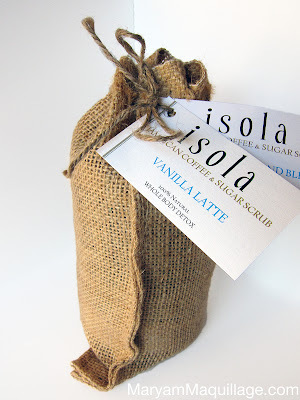 Do yourself a favor and try Isola Coffee & Sugar Scrubs to experience the ultimate in pampering and natural skin care! Loved your post!! thanks for visit my blog! this is an amazing product, I'm so excited to have discovered it. Thanks love!! Sounds like it smells amazing! I want this, thanks for e review, Bff going Jamaica soon imma tell her to bring me some. I would love to try it! I hope they sent in Greece..... Great post! lovely! i think this is best thing which i gift to my girlfriend. hope she likes. thanks for the post. because of your post i got some idea what to gift my girlfriend. I love Jamaican coffee. I want this! In the end, we cannot refute and dispute what is written by the hands of fate.